On The 21st: Many high school students are working on their college applications. But for those whose immigration status is in limbo, how much harder is that process? Plus, years ago the Lincoln Foundation spent millions of dollars on a hat said to belong to the former President. But now there are doubts about whether that hat really was Lincoln’s. But first, we speak with the experts about staying healthy this flu season. 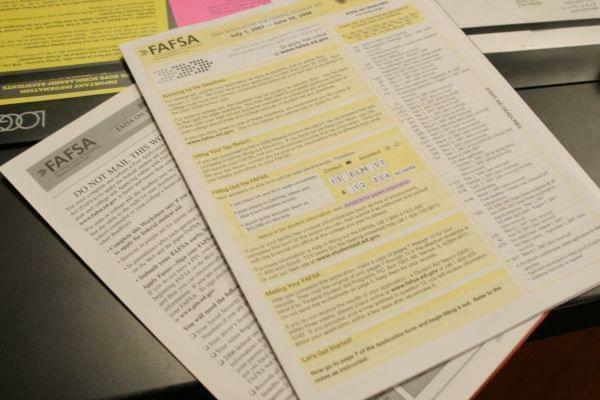 It’s college application season for many students across the country. There are no shortage of forms to fill out, and scholarships to apply for. The whole process is daunting for most students. There are lots of hoops to jump through, and college is extremely expensive. But if you’re not a citizen or permanent resident, that process is even harder. Whether you don’t have papers at all, or even have a work permit like DACA or TPS, your immigration status means that a lot of options are already closed off to you when it comes to college. Elizabeth Zaccheaus is a junior at North Park University. She’s a Chemistry major and she joined us in our studio at Northwestern University. Robert Emmons was also with us. He works at a college access organization called OneGoal. We also spoke with Eric Ruiz. He's the director of undergraduate admissions at the University of St. Francis in Joliet. Jennifer Delaney is an associate professor of higher education at the University of Illinois. She joined us on the line. "I've basically lived here my whole life, I'm just like everybody else," says Liz Zaccheaus. "It's hard knowing I don't have the same opportunities as everybody else just because i wasn't born here." She says support is the number one thing to give to students in this situation. As the weather changes, it might seem like more and more people around you are sniffling, coughing and sneezing. But, when does a tickle in your throat become something more serious like the flu? Last year it was very serious. The influenza virus was responsible for the deaths of about 80,000 Americans, according to the CDC. That makes it the deadliest flu season in three decades. And almost one million people were hospitalized in connection with the flu. Those numbers are a sobering reminder that flu season is once again almost upon us. So, what do you need to do to stay healthy these next few months? We were joined on the line by Todd Kisner. Todd is the Director of the Center for Health Protection for the Winnebago County Health Department in Rockford. Dr. John Kreckman also spoke with us. He’s the Vice President and Chief Medical Officer for OSF Healthcare, Heart of Mary Medical Center in Urbana. "It's the group that thinks we're healthy we're working, we don't need a flu shot, that's vulnerable," says Todd Kisner from the Winnebago County Health Department. "But the flu shot is not just for you, it's for your family." If you’ve ever been to the Abraham Lincoln Presidential Library and Museum, you may have seen one of its most precious artifacts: a stovepipe hat that supposedly belonged to the former president. It’s been there for more than ten years, thanks to the Lincoln Foundation, which bought it for millions of dollars. But...it turns out the hat might not be the real thing. There are some serious doubts about whether there’s enough evidence to prove that this belonged to President Lincoln. That’s a big problem. Not just because this is one of the museum’s most prized possessions, but because the foundation still needs help paying off the money in borrowed to buy the hat in the first place. Dave McKinney broke this story and he gave us the latest. Lincoln and his hat. The silhouette is familiar to most Illinoisans.